You can read the latest May 2015 edition of Shooting Sports USA for free. 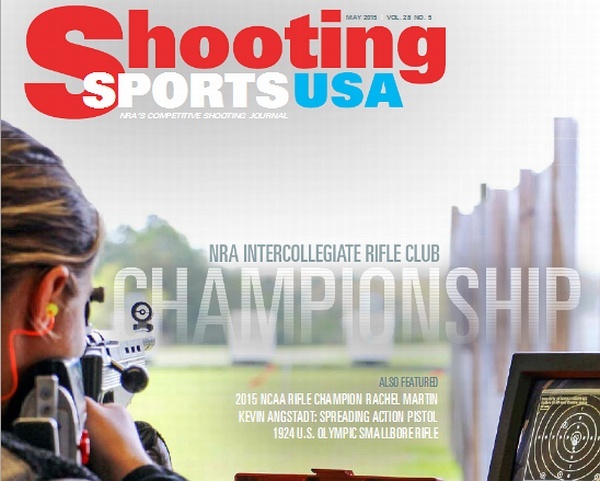 This issue covers the 2015 NRA Intercollegiate Rifle Club Championship and includes an exclusive interview with 2015 NCAA Smallbore Rifle Champion Rachel Martin. If you like classic target rifles, you should definitely read the “Yesterday’s Rifle” article. This recounts America’s program to develop a winning Smallbore Rifle for the 1924 Paris Olympics. The full May 2015 issue of Shooting Sports USA is embedded below. If you want to read the May issue in a larger, dual-page format, CLICK THIS LINK. 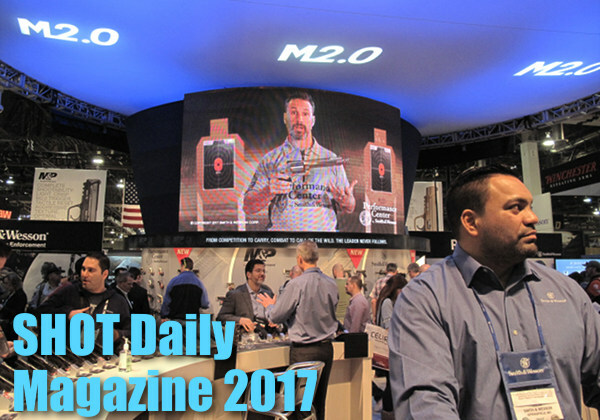 Share the post "Read FREE May Edition of Shooting Sports USA"
Have some spare time on your hands? How would you like to read four YEARS of American Rifleman Magazine back-issues for FREE? That’s right, the past four years of the NRA’s popular magazine are available online in eZine format — and all the content is free. Just visit the American Rifleman Magazine Archive. You don’t need to be an NRA member, or pay for a subscription. The 2013, 2012, 2011, and 2010 archives are FREE. (NOTE: the most recent issue in this format is May 2013). The eZine version of American Rifleman navigates like a conventional print magazine — so you start with an index at the front and you can flip pages from front-to-back. You can also navigate with thumbnails (on the left) and zoom in and out if you find items of interest. Those who prefer reading articles in a magazine-style format should enjoy the American Rifleman digital eZine archives. Share the post "Access Four Years of American Rifleman Back-Issues for FREE"
New from Howa, is the Howa Actuator Controlled Trigger (HACT). This two-stage-style trigger system lightens the trigger pull weight, and reduces the amount of trigger creep. HACT trigger units will fit all Howa M-1500 rifles that were previously equipped with a three-position safety. The HACT trigger assembly is a completely redesigned trigger and sear unit with a lighter, two-stage-style trigger pull. HACT pull-weight range is 2.5 to 3.8 pounds; the factory default setting is 3 pounds. The recently-introduced Detachable Box Magazine (DBM) Conversion Kit for Howa and Weatherby Vanguard rifles has proven extremely popular. This $98.00 kit includes new plastic floorplate and trigger housing plus either a 5-round or 10-round polymer magazine (as the customer prefers). The DBM Kit saves 1/4 lb. of weight as compared to hinged bottom metal. Made for target shooters and varmint hunters, these POLYMER BODY magazines allow you to turn your 4-round box magazine into a high-capacity DBM system. Conversion kits are currently available for .204, .223, 22-250, .243, 7mm-08, and .308 Win short action Howa rifles. These kits will also fit most late-model, short action Weatherby Vanguard Rifles. Share the post "Howa Offers Upgraded 2-Stage Trigger Plus DBM Conversion Kits"